Feeling so excited coming back to Asia after more than one year studying abroad, I did a lot of research about which country with the good season to visit. Then I remember Phuket! I did not have a chance to visit the southern of Thailand during my long-term travel couple of years back. 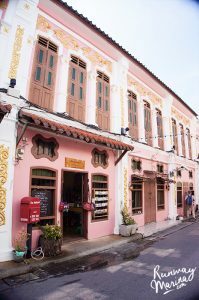 Phuket Town was my choice to stay mainly because it’s in the centre of Phuket, less crowded and easier to get public transportation to the airport, pier and other beaches around. 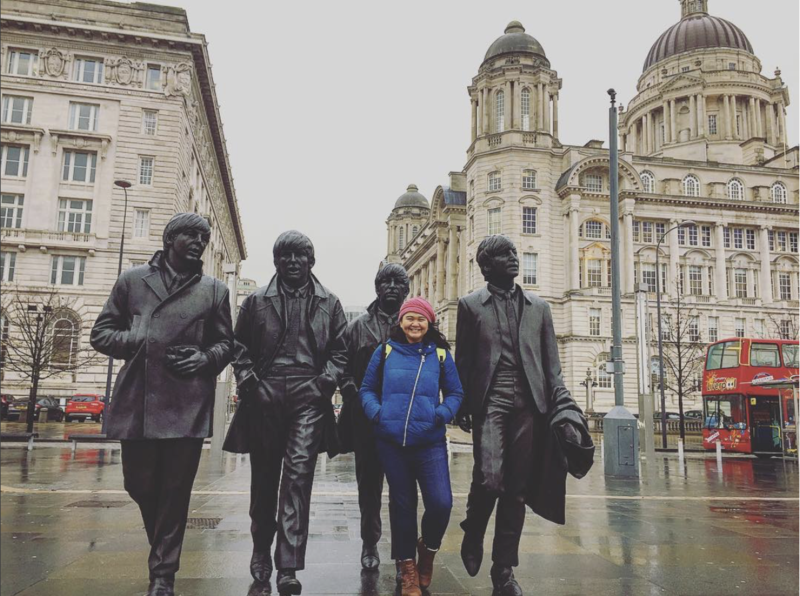 Of course being a solo female traveller means that you have more responsibilities of yourself and always be bold in making choices. 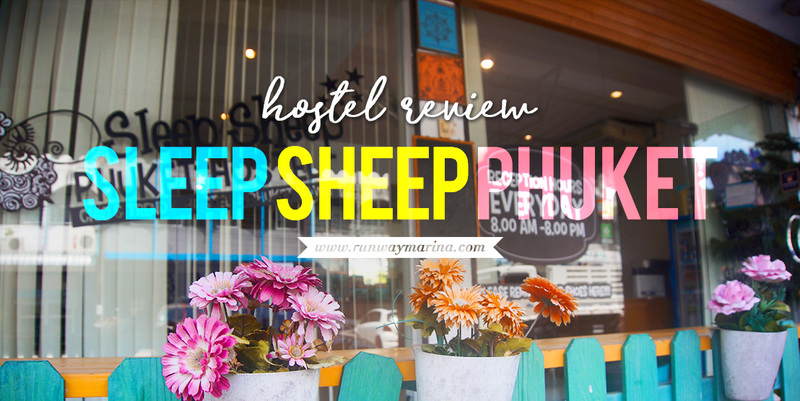 While I was browsing through the Hostelworld trying to find the female dorm, I was attracted by the name of this hostel: Sleep Sheep Phuket Hostel. The photos of the hostel ambience, even more, cuter that I decided to stay there for a couple of days. 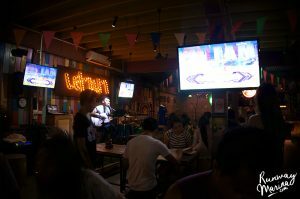 One thing to note; it was hard to find a female dorm in the city centre, nonetheless even Patong Beach, the most popular party beach mostly have the mix dorm. So I thought it was a good decision to stay at this cute hostel! We arrived in Phuket at 9 pm and all of the mini bus to go to Phuket Town was already close. So we decided to get the taxi and we even get lost couldn’t find the hostel. The owner left me her cell phone number and she was super helpful talking with the taxi driver to find the hostel. Sadly she was not in Phuket at that time and we were bitten surprised that she left me a note on the door on how to get in! We thought “Wow, is it really that safe in here?”. 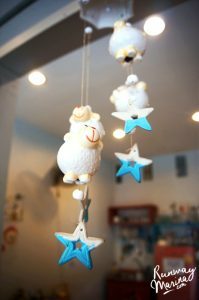 Our first impression of the hostel was.. “So many sheeps decorations!”. The hostel itself is pretty big with 3 level floors. 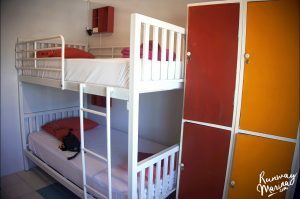 It has the 6-bed female dorm room, 8-bed mix dorm room, and the double room with shared bathroom. 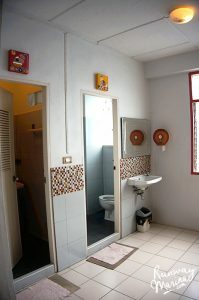 Some of the bathrooms were even inside the dorm room, but it has toilet and shower room on each floor. Oh and another good thing is that they have already provided the bed sheets, blanket and towel (We literally had to pay for these in European hostel). Each bed also got a luggage store and the key to lock our important stuff in (Again! We literally had to pay rent for locks in a couple of hostels). 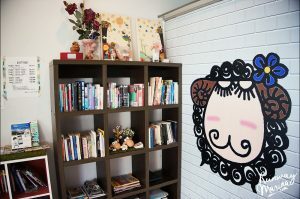 The place was cosy, super clean, chill with the air-con and not crowded. I slept like a baby! 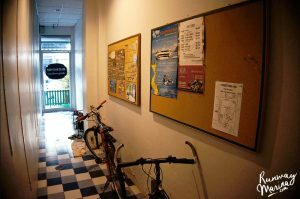 The hostel also has plenty of common rooms. 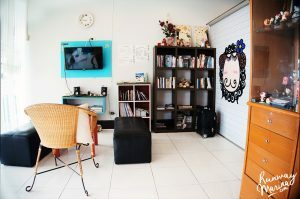 The public room near the receptionists has cosy seats, books to read on, and TV to watch (I like watching other country’s TV broadcast. It feels so ‘same same but different’). 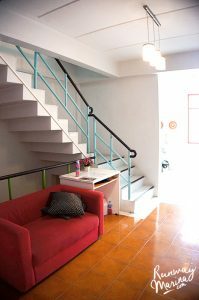 On the third floor, you can also find a play room where they have provided DVD player, sofa and place to hang out. It was lovely! On each floor they even have small sofa and table providing Phuket free maps. We felt so comfortable as if we were staying in our own house! In the morning had our breakfast in their small lovely kitchen. Toast with jam and cereal! Yummy! 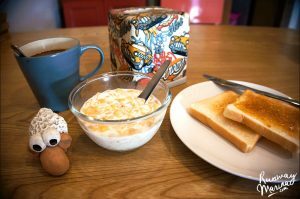 I love a self-served breakfast, which means you can get it more and more! (psst.. We had it twice!). 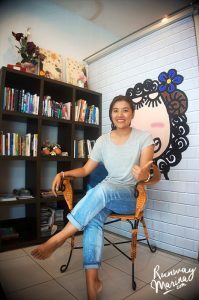 Nutanong was studying in Reading, UK when she has first introduced the concept of ‘Hostel’. 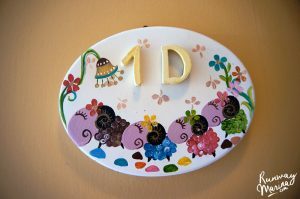 She did not know this idea before and she was immediately hooked! 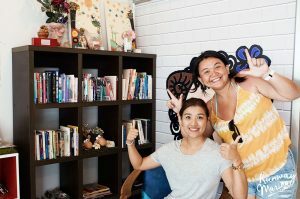 After she came back to her hometown, Phuket she tried to build her dream hostel and present how it works 6 years ago when she first opened the hostel. 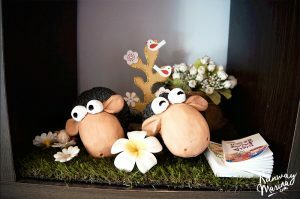 She shared the story of how hard it was as many people in Phuket did not understand this kind of new concept. 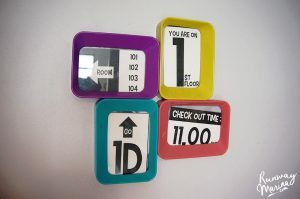 And then she learned from trial and errors, renovated and improve the service based on the hostel review she received. She has inspired me as I have been dreaming of having my own hostel someday. Looking at the hostel result, I am pretty sure that she is a hard worker and a passionate person who never give up. She spent most of her time in the receptionist managing everything in her hostel by herself and she would love to share stories with you too! Location wise. It is a good place for you who wants to explore the Old Town as Thalang Road is just right in front of the complex. The bus station is only 10 minute walks airport bus station and 5-minute drive to Rassada Pier to get to Koh Phi Phi. Do not worry, it has the location set up in Google Maps! There are public bus starts from 7 pm from Phuket Domestic Arrival to Phuket Old Town bus station which cost only 100 Baht. If you arrived at Phuket International Airport at 9 pm, there is no more public bus, so a taxi is the best way to get there – around 600-700 Baht for one car max 3 people (which is cheaper than go to Patong, Kata or Karon beach!). The location is inside of the complex and it was a bit hard to find at night, but then again, the owner lady always ready whenever you are struggling to find it. The location is safe as the owner also know the area and neighbours pretty well. I assure you that it was recommended for solo female travellers and worthed in every dime! What to see around there? Thalang Road is the old town centre for tourists to visit. It has beautiful amazing town architecture and walkable from the hostel. 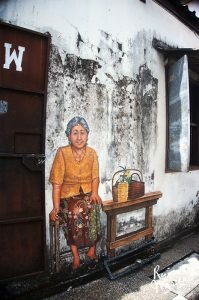 Try the graffiti hunting around the area and you will be amused with the art! Local foods are well spread through the area, two bars are just around the corner that opens till late at night. 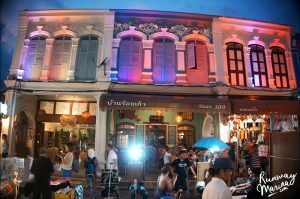 If you were there on the weekend, catch up the Phuket Old Town Weekend Market on Thalang Road. Plenty of food stalls, gift shops, and music performance along the street. How many dorms and rooms they have? 3 Level building with the 6-bed female dorm room, 8-bed mix dorm room, and the double room with shared bathroom. 8 rooms all in total. What other services they have? It has free Wifi that can reach all floors. Motorbike rental also provided! I asked to rent the motorbike from them and the bike was in good condition compared to our motorbike on our last day. The parking lot is available. They have pretty big spots to park your car rental! Daily housekeeping, as the lady comes super early to clean the place including the dorm. That’s why they have a super clean place! Laundry service by coin. 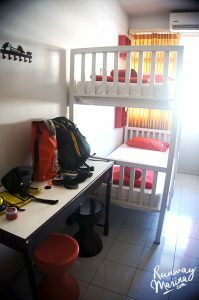 Totally good hostel to clean up for long term travellers! Tickets and tour booking are also available. We also booked our ticket to go to Koh Phi Phi from them and even have the van picked us up at the pier. 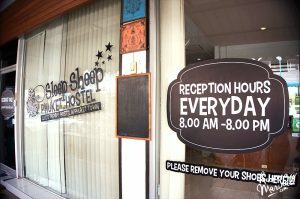 You can also open the Sleep Sheep Phuket Hostel website to learn more about the rooms and their services. How much and how to book? Click here to book with Agoda for the availability and prices or book with Hostelworld by clicking the image below.